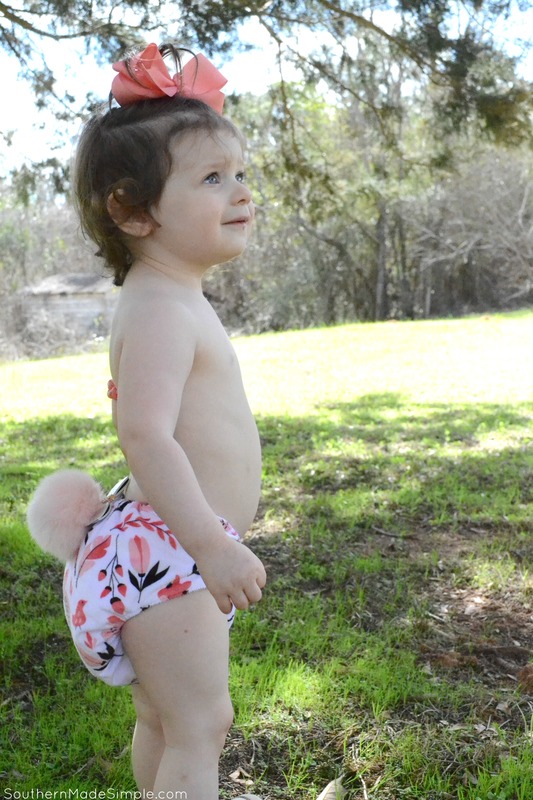 Spring Cloth Diapers and Accessories from Lil Eco! I received these products complimentary in exchange for my honest review. All opinions expressed are 100% my own. I only promote what I truly love! 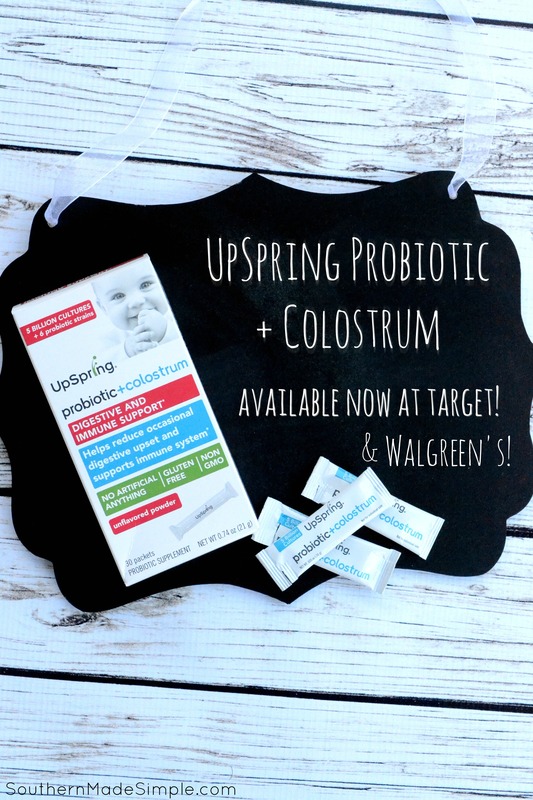 Now that the weather has warmed up significantly here in Alabama, we’ve been heading outdoors and enjoying the fresh spring air as much as possible (with allergy nose spray in hand, of course. This pollen has me sneezing so much!) My daughter has always loved being outside, and she recently took notice of a sweet little bunny rabbit that has made his home somewhere around the outskirts of our property. Many times when we walk outside in the evening before the sun sets, she’ll find the bunny nibbling on grass in our front yard. Her little heart fills up with SO much excitement, you can just feel the joy radiating from her. It totally makes my heart melt, y’all! 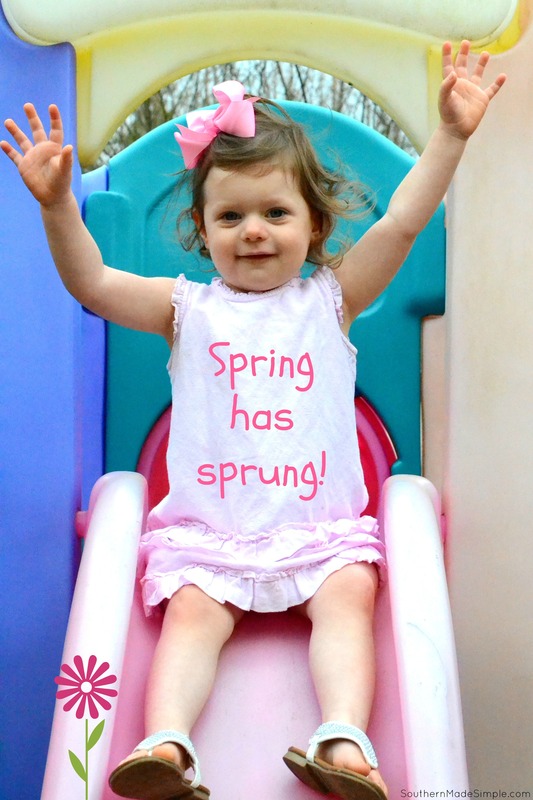 We’re jumping for joy that Spring has finally arrived! It really felt like my neck of the woods got sort or gypped out of Winter this year. I think I brought out my heavy coat maybe twice! But that is absolutely fine with me, because I am crazy about the warm Spring temperatures and beautiful flowers blooming! I received complimentary product in exchange for my honest opinion. All thoughts expressed are 100% my own. I only promote what I truly love! 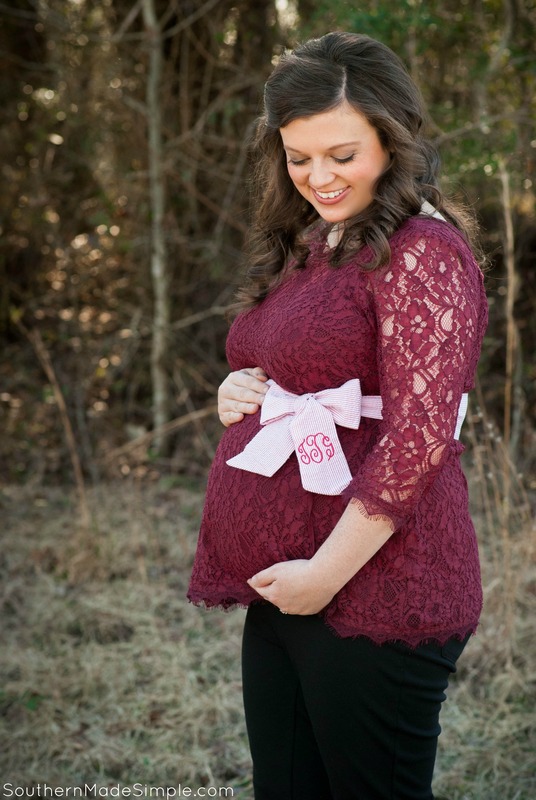 We started our cloth diapering journey when my daughter was just 1 month old. She’s now quickly approaching 2 years old, and she’s still wearing the same sweet little diapers that she wore all those months ago! In fact, the very first diaper that ever graced her little behind was a Buttons brand diaper (the Sweet Pea cover to be exact.) Since that day, Buttons Diapers have climbed the ranks to be one of our very favorites in our stash. We love them so much, that we’ve weeded out numerous other brands over time to make room for our growing stash of Buttons diapers! 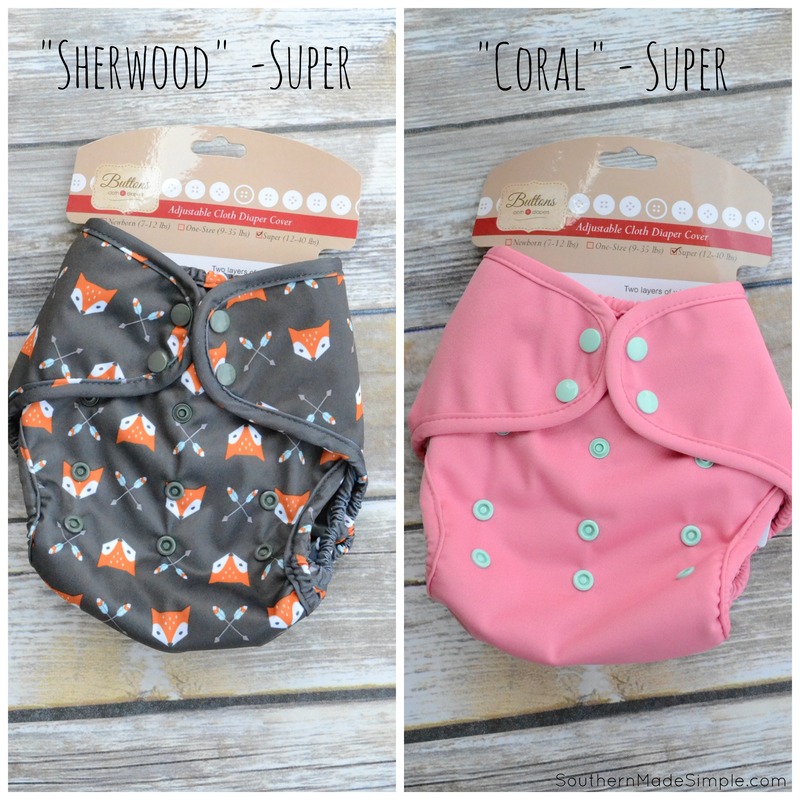 You’ve seen me share my love for them a few different times (linked at the very bottom of this post,) so it may come as no surprise to you that I’m here again to sing more praises for my beloved Buttons diaper covers! Since becoming a parent almost 2 years ago, I’ve made it a top priority to pay very close attention to the things that my little one consumes. When she started eating solids, I knew that if I didn’t stay on top of her diet and make sure she was eating balanced portions of fruits, veggies and proteins, she could be at risk of not getting all of the important nutrients that her body needed to maintain a healthy immune system. I received a complimentary diaper in exchange for my honest review. All opinions expressed within this post are completely my own. I only promote what I truly love! It’s always a great day when you discover a total gem tucked away in a little downtown boutique near your hometown. 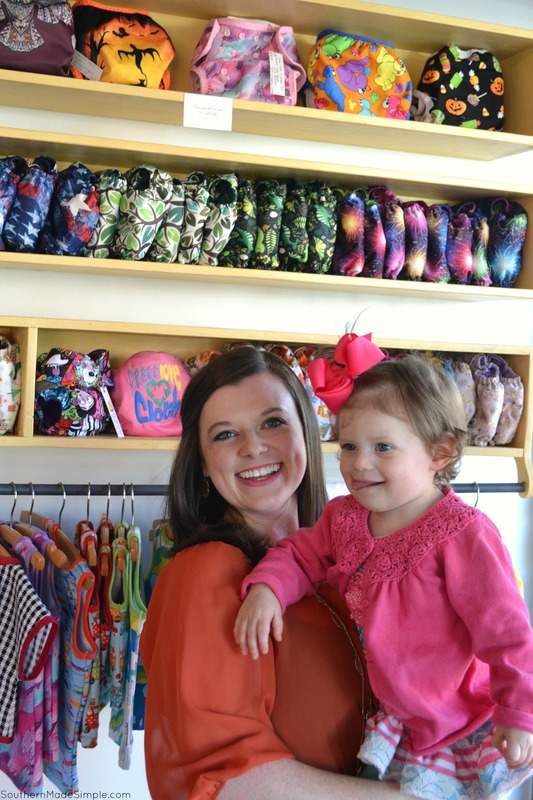 That’s exactly what I found when I walked into Ah Dee Eh Dee’s children’s boutique located in a cute corner store in the heart of Prattville, AL. This store is different, though. It’s special. It’s completely unique. It’s filled with wonderful, glorious things that make my heart pitter-patter, and there are treasures inside that the world needs to know about! I received a complimentaty subscription to Bookroo in exchange for my honest review. However, all opinion expressed here are completely my own. I only share what I truly love! I’ve hit a gold mine, y’all. Seriously. I just scored major points with my busy-bee toddler and have found the perfect gift to share with her this Christmas season, and it doesn’t even have flashing lights or require batteries! 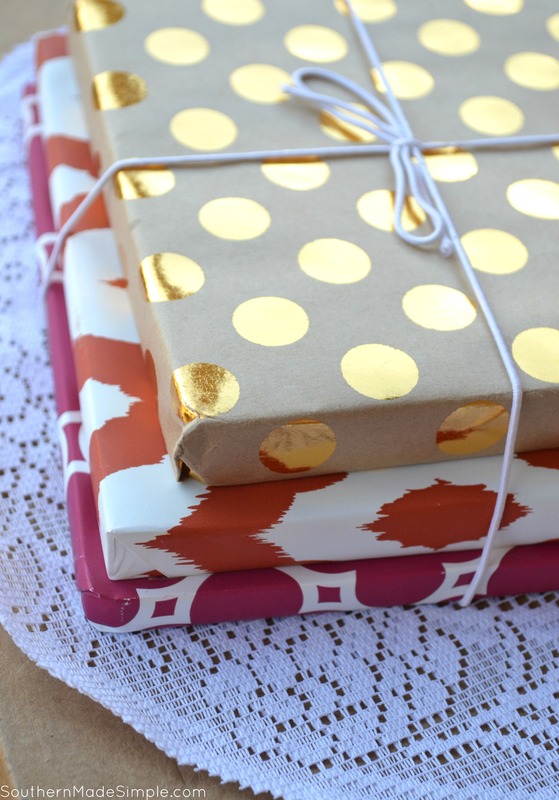 I’m sure you’re all familiar with the “subscription box” trend that’s grown tremendously in popularity over the last few years. I hope and pray that it’s a trend that stays around forever, because I think it’s absolutely genius. 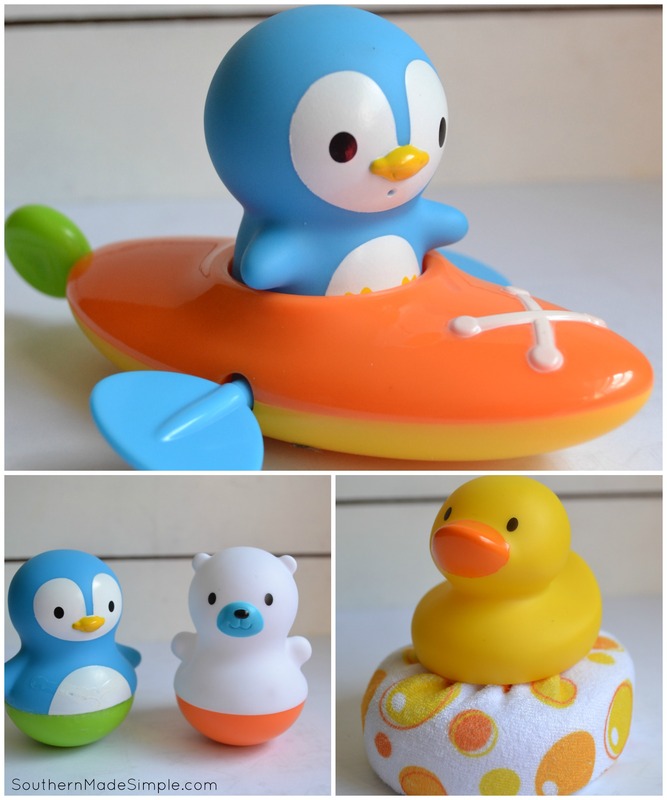 We’re Adding a Splash to our Stockings with Munchkin Bath Toys! For my 18 month old daughter, there is no other source of joy quite like bath time. 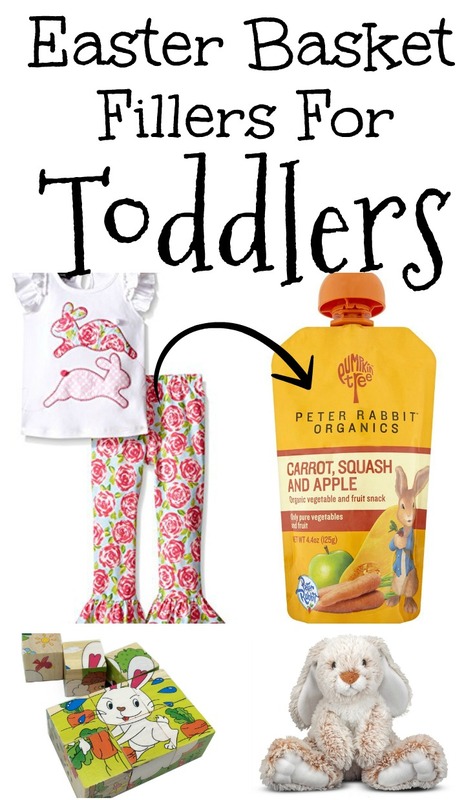 True to her toddler nature, she is a little busy body who wants more than anything to be independent. She wants to feed herself, bathe herself, play with her toys by herself, and the list goes on! When it comes to bath time, she LOVES to splash around and learn through playing, but the actual act of bathing isn’t particularly her cup of tea. She’d much rather me just sit at a distance and watch her play with her toys. Sigh. It’s like she’s an 18 month old going on 18 year old teenager! And I try to somewhat honor those wishes by sitting on the bathroom floor and giving her some quality play time in the tub. I’m telling you, it’s really an amazing thing watching the little gears in a toddler’s head start to turn as they play and figure things out for themselves. As much as I want to play with her, I’ve learned that in this season of her life, there will be times where it’s best for her to play on her own so she can develop a sense of imagination and how things work through examination. So when it comes to bath time toys, I try to make sure she has a variety of things that really encourage imaginative play and pique her curiosity. Keep Germs Away using Just Water and E-Cloth! I was sent a Reusable Hand & Face Cleaning Kit from Baby Care by e-cloth to review in exchange for my honest opinion. All thoughts expressed within this post are completely my own and were not influenced by the sponsor in any way. You see this kid right here? As cute as she may be, she can make some pretty nasty messes. I know parents of toddlers can totally testify to the fact that little ones have an unmatched talent when it comes to creating the most colossal messes in minimal time. I’ve heard people say that trying to clean with a toddler around is like brushing your teeth while you’re eating Oreo’s, and I always chuckle because it’s so true! For instance, this meal that my daughter is eating doesn’t really look like it’d be that messy (it’s just mashed potatoes after all,) but I bet you’d never guess that I spent a good 5 minutes after she was finished cleaning potatoes out of the curtain behind her. As cute as they are when they’re learning how to feed themselves, they quickly become not so cute when you realize you’re the one that has to clean up after them! Since I spend a good portion of my day cleaning up after her, I try to pay close attention to the products that I use in my home. I want to make sure that whatever I use, especially when I’m cleaning HER up, is 100% safe for her be around. Finding cleaning products that are effective without having an ingredient list that’s a mile long can be extremely challenging. 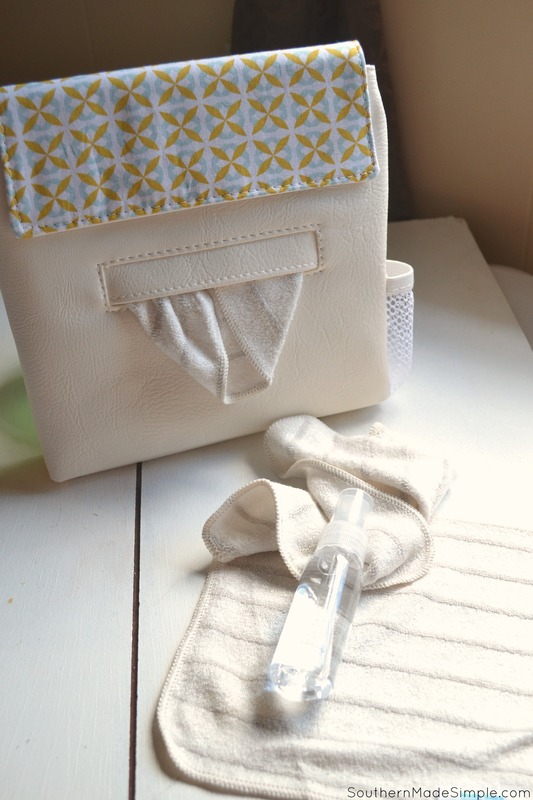 When I heard about the Reusable Hand & Face Cleaning Kit from Baby Care by e-cloth® that cleans AND removes 99% of bacteria using just water, I was totally intrigued. So many of the messes that my daughter leaves behind are really stubborn. It often seems like I have to let the mess soak in a solution just to be able to wipe it up. The worst offender is when she gets food on her hands and mouth and it dries. It’s just like trying to get baked on lasagna off of a casserole dish. It’s tough! So the notion that I could wipe away tough messes AND removes bacteria with NO cleaner had me feeling a little skeptical. 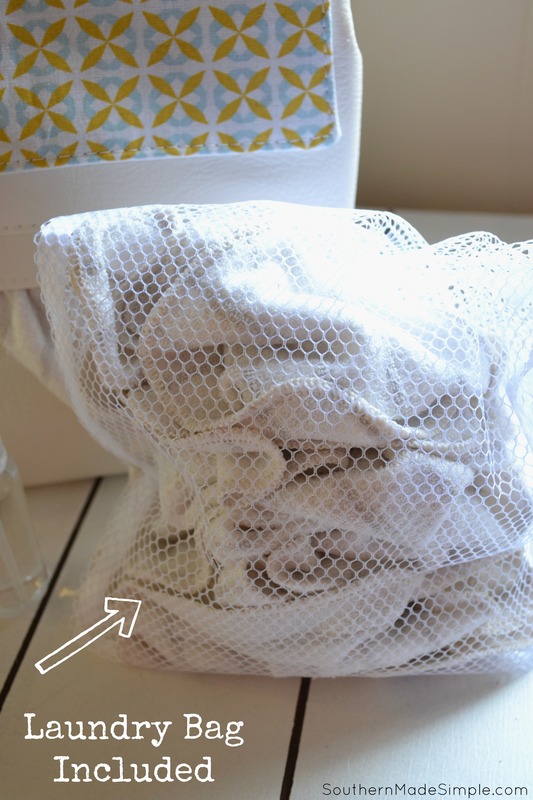 As I did a little more research on e-cloth®, I quickly learned the reasoning as to how something as simple as water, paired with one of their reusable cloths, could be as effective as they claim. Come to find out, the fibers used to make the cloths are made of polyester and nylon, but are 1,000 times finer than cotton fibers. To put that into perspective for you, that’s 1/200th the diameter of a single human hair! They’re actually the smallest fibers in the world that can be made by a man. So how exactly does that make it effective? Here’s how: Nylon fibers are actually negatively charged and therefore attract water, which happens to be positively charged. The super strong fibers in each e-cloth® act as a magnet, making dirt and grime attach to the cloth! This is a huge deal for us personally, because I am able to eliminate potentially unsafe chemicals from our household that will be around my daughter. I have peace of mind when I’m cleaning her little hands and face that the only thing cleaning her skin is water – and it works really well! Dried mashed potatoes can be really tricky to remove from anything, let alone a squirmy toddler. 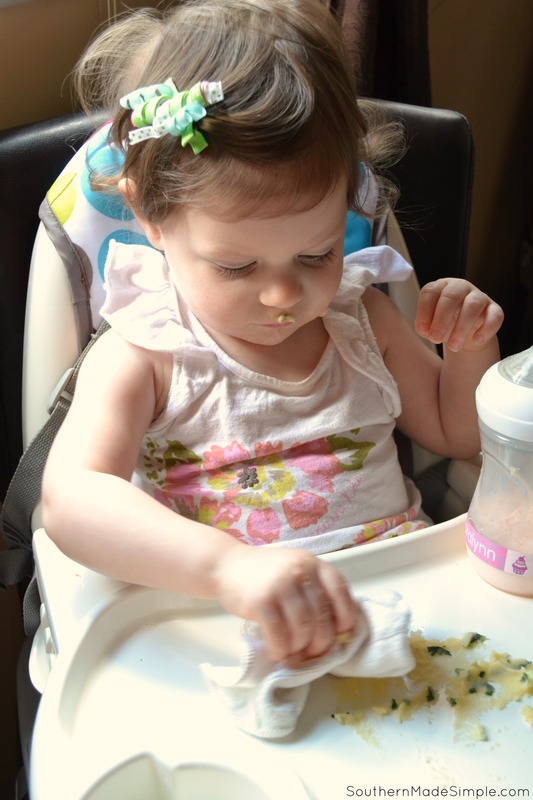 Once my toddler was finished with her meal, I handed her an e-cloth sprayed with water to clean herself up with. She “lightly” wiped her hands and face (I came in later to help of course,) but she went right to work wiping up her high chair mess. 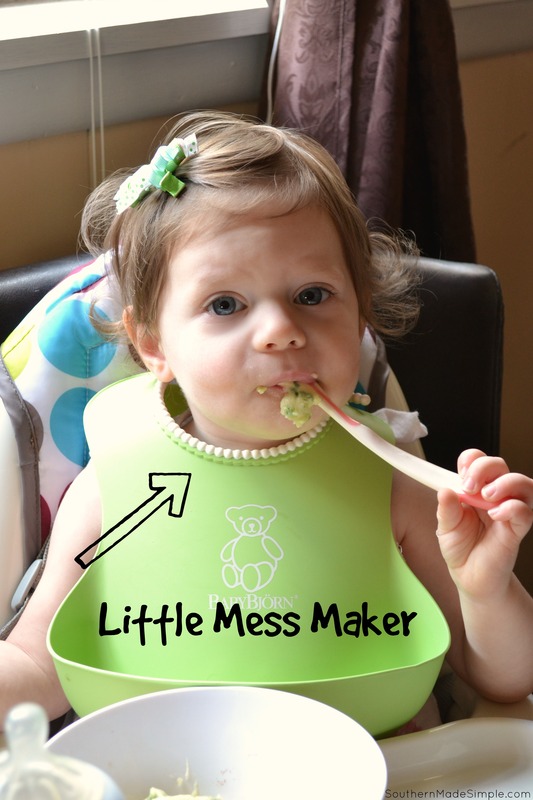 She may be messy, but she’s such a good little helper! E-cloth® now holds a very valuable role in our household, as it reduces exposure to harmful chemicals, cleans tough messes and helps reduce illnesses caused by bacterial growth. It’s such a simple thought that water can clean as effectively as those tough chemicals we used to use, but it’s even more powerful knowing that it actually does clean better. 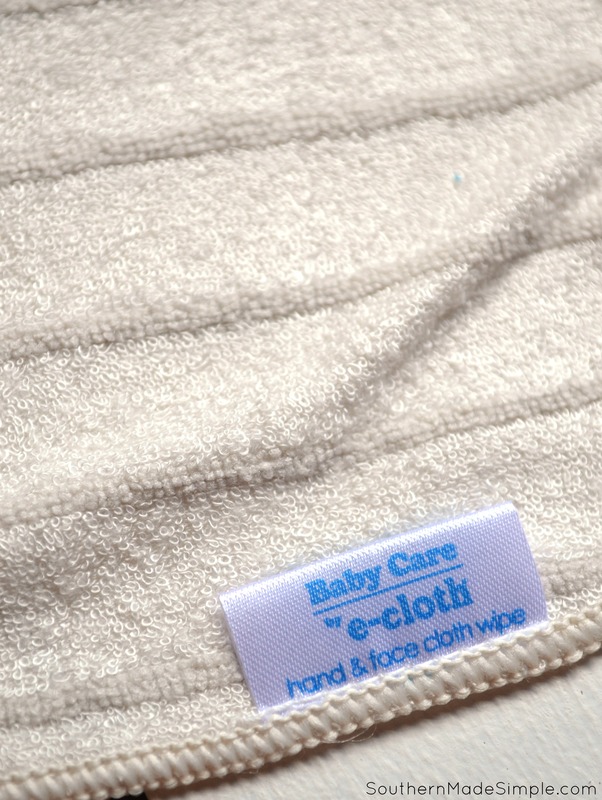 For more information on safe and effective cleaning with e-cloth® by Baby Care, visit their website found here. The Chemical Free and Reusable Hand & Face Cleaning Kit retails for $29.99 and is available to purchase here.